Special festival activities and hotel room discounts are available at a group of seven fine New Orleans hotels during the city-wide Christmas festival, November 26th - December 29th. New Orleans during the holidays is like no other city. For 31 days beginning November 26th, feasts and finery await visitors in every corner of town. From a string of gospel performances at St. Louis Cathedral, to abundant reveillon menus at the finest restaurants, to strolling characters dressed in historic holiday garb in the French Quarter, the Christmas New Orleans Style festival is truly a unique city-wide celebration. The New Orleans Hotel Collection, featuring seven fine hotels throughout the city, has launched a variety of festival hotel specials including an exceptional “Papa Noel” room rate offer available for stays from November 29th to December 29th, 2017. A comfortable, deluxe room with luxurious queen or king bedding can be had at any Collection hotel starting from $129 on selected dates during the week, and from $169 on weekends. Balcony suite rooms start as low as $199. All rates are per room, per night, plus applicable taxes and based upon availability. The discount is more than 20% off prevailing room rates. 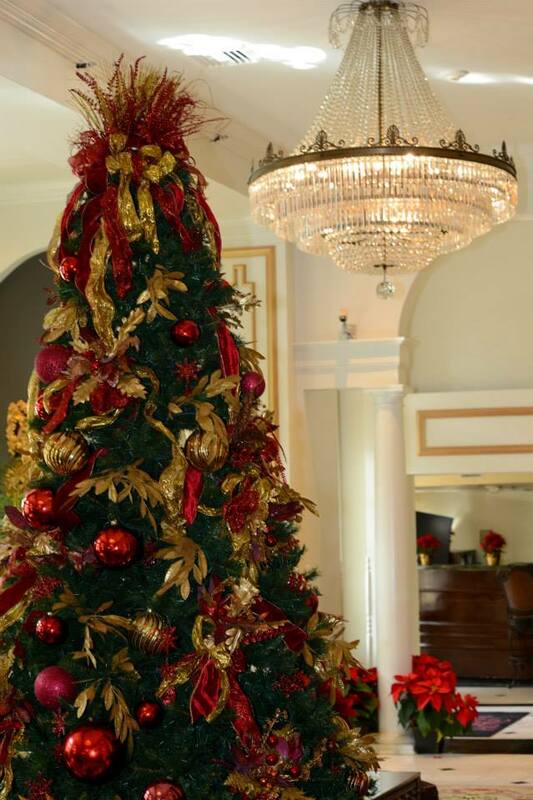 To reserve the “Papa Noel” room rate special, visit http://www.neworleanshotelcollection.com and use promo code “Papa Noel” when making reservations, or call 855-798-6642 and ask for the “Papa Noel” rate. Other hotel package offerings from The New Orleans Hotel Collection include: "Holidays in the City" package, specially created for visitors arriving by car, including nightly parking, free breakfast, free WiFi, a free welcome seasonal drink and free bottled local artesian waters. Also, the Mardi Gras World" package - available at all Collection hotels - with overnight accommodations, transportation shuttle, and entry for two (2) to the famous Blaine Kern Mardi Gras World Showrooms complete with a video tour, a visit to the workshops, and a warehouse viewing of the famous Mardi Gras parade floats such as Orpheus’s “Smoky Mary” and Bacchus’s “Bacchagator.” The Mardi Gras Warehouse is decorated for Christmas from Thanksgiving to New Year. 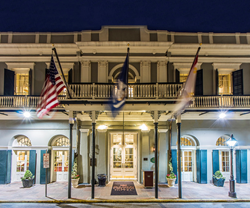 Travelers can find details on all package offerings at http://www.neworleanshotelcollection.com, or by calling call 855-798-6642 to speak with an agent and asking for the “Holidays” package. For over 25 years, French Quarter hotels have been partnering with the French Quarter Festival Inc., originators of the Christmas New Orleans Style festival, to provide visitors a wide range of options during this very special festival. Many activities will take place in hotel lobbies - or close by - in locations throughout the city’s historic district. Festival activities coincide with some of the most exciting and unique boutique shopping experiences found only in the French Quarter as well as gospel and jazz music concerts at St. Louis Cathedral and the Petit Theatre du Vieux Carre. The New Orleans Hotel Collection is a group of seven fine hotels in the New Orleans metropolitan region owned by local investors. Comprised of the Bourbon Orleans, Dauphine Orleans, Hotel Mazarin, Whitney Hotel, Crowne Plaza New Orleans Airport. the Hotel Le Marais and the new Jung Hotel and Residences, these are boutique and small upscale meeting hotels in prime locations throughout the city. For more information, visit the New Orleans Hotel Collection website: http://www.neworleanshotelcollection.com.